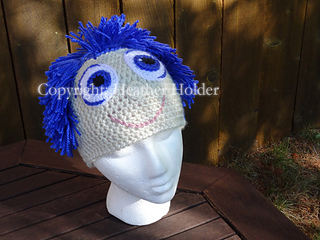 Bring happiness into your life by wearing this hat inspired by Joy! 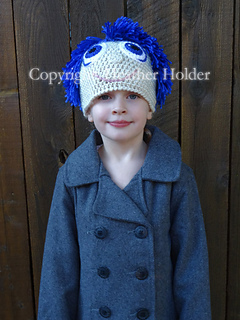 This pattern comes in every size from birth to adulthood and uses Aran or Worsted weight yarn. 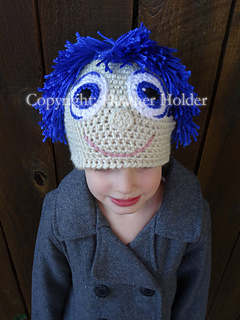 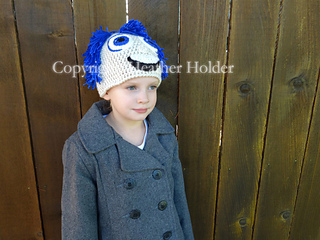 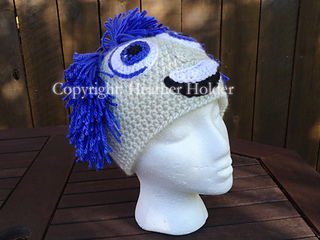 Contains instructions for both beanie style and ear flap style hat with two different mouth options.